Use your SFD Dress Kit bodice & skirt. Learn how to size up for additional comfort and wearing room. 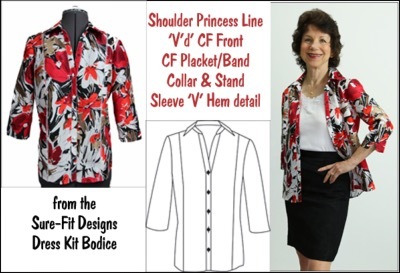 Add a placket/band, collar & stand, 3/4 sleeves, and shirttail style of hem - great worn in or out.